7. “Adorable” Adrian Adonis joins the show. Clips of Adrian on Pipers Pit are shown. 8. Adrian Adonis at the beauty salon. 3. Les Thorton & Scott McGee join the show. 10. It’s Q&A time as Bobby Heenan and Jimmy Hart both join the show (with Bobby taking over Vince McMahon’s hosts chair) and take questions from the audience. 1. Jimmy Hart & The Funk Brothers join the show. 3. Tito Santana joins the show. 5. Joe Frazier (who will be in Mr. T’s corner for Wrestlemania 2) joins the show. 6. Roddy Piper has a “Press Conference” and runs down Frazier & Mr. T.
7. Jake “The Snake” Roberts joins the show. 9. Jake takes questions from the audience. 10. Ricky Steamboat joins the show. 12. Big John Studd joins the show. 1. Jimmy Hart joins the show. 4. Roddy Piper training for his boxing match against Mr. T at Wrestlemania 2. 5. Johnny Valiant joins the show. 10. Capt. Lou Albano joins the show. 11. 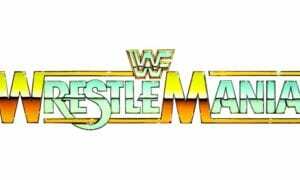 Several pro football playes talk about their chances in the Wrestlemania 2 battle royal. 14. Gene Okerlund interviews a doctor outside of the hospital where Hogan was admitted following his beat down by Bundy. 15. 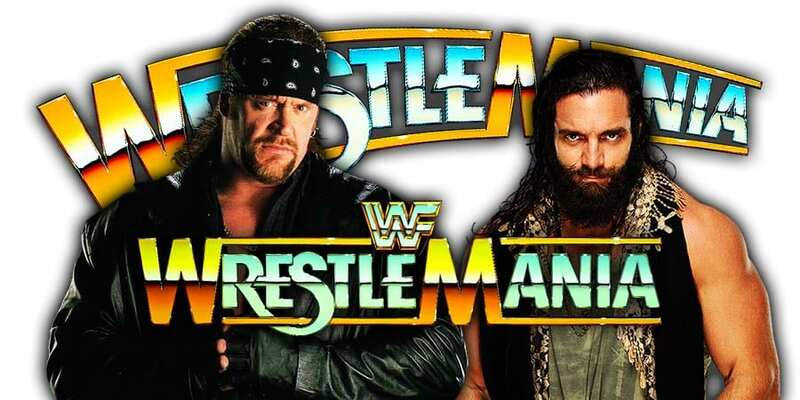 Int – Hulk Hogan & King Kong Bundy about their upcoming Wrestlemania 2 match. 1. Magnificent Muraco & Mr. Fuji join the show. 3. Clips from several of Muraco & Fuji’s hilariously terrible TV sketches. 9. Fred Blassie joins the show. 1. Lanny Poffo joins the show. 2. Randy Savage & Elizabeth join the show. 5. The Haiti kid joins the show. 6. Hercules Hernandez & Fred Blassie joins the show. 8. The Iron Sheik joins the show. 9. The Iron Sheik takes questions from the audience. 4. Ricky Steamboat joins the show. 6. SD Jones & Paul Roma join the show. 1. Gene Okerlund is on location in japan looking for the Machines. 2. The British Bulldogs with Capt. Lou Albano join the show. 4. Cpl. Kirchner joins the show. 7. 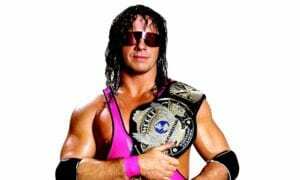 Bret Hart joins the show. 9. THE MATING GAME! (hosted by Gene Okerlund) Hilarious segment as Jim “The Anvil” Neidhart plays the part of the eligible bachelor. 4. Bobo Brazil & Chief Jay Strongbow join the show. 6. Don Muraco & Mr. Fuji do some standup comedy. •March 20, 1988: (Vince McMahon & Lord Alfred Hayes) — TNT Revisited — Hulk Hogan introduces Vince & Alfred to his new Python Powder. Hulk mixes fruits, raw eggs with shells a little bit of spring water and his Python Powder together in a blender and then drinks down some of the Hulk`s own Protein Packs with it. Vince tries it and rather likes it while Awful Alfred has to excuse himself after tasting it Vince, Alfred, British Bulldogs are joined at a tea party by Mr. Fuji with Moondog Spot. Spot acts disgustingly and destroys the tea party while Mr. Fuji insults Lord Alfred and his tea. Clips from the swim wear fashion show in which Lord Alfred appears in a bathing suit and Jimmy Hart sings and throws a bucket of water on Lord Alfred. The Mills Brothwers sing live on TNT. Mean Gene plays piano and sings Tutie Fruitie while Hulk Hogan plays bass guitar with the TNT band. Hulk Hogan`s Real American video. Tito Santana displaying the foods of his country along with Mexican dancing. The Junkyard Dog Rolling Thunder Review with an all black band. Nikolai Volkoff lip syncs the song Cara Mia. Hulk Hogan preparing a liquid breakfast for Hillbilly Jim and then helping the Hillbilly train. Hillbilly Jim at home in his surroundings. Jake The Snake Roberts with his collection of snakes. Junkyard Dog with his dog. Also a show of different types of dogs. Jesse Ventura as guest host of TNT with who he claims to be Prince. Vince McMahon disagrees with Jesse in his view of Prince. Leaping Lanny Poffo and his book of poetry. Ricky the Dragon Steamboat at his training camp of monks. Vince, Lord Alfred with Terry Funk in what turns out to be a saloon type brawl. Vince finishes the show by shoving Lord Alfred`s face into the TNT anniversary cake.